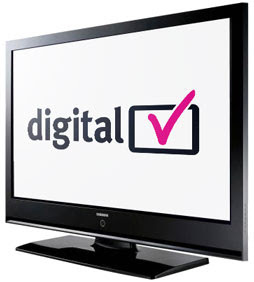 Television stations nationwide made the switch from analog to digital TV broadcasts Friday. While we've all known for the past year that this day was coming, an estimated 1.75 million households hadn't gotten off their arses to get the digital converter boxes that are necessary if you don't have cable or satellite. But also, many people were having problems hooking up their boxes or discovered that their antennas weren't compatible. As a result, the FCC has received more than a million calls to its helpline since Friday. If you need help, help is on the way. Representatives from the FCC will be in Charlotte on Wednesday (June 17) to demonstrate how to hook up a digital converter box, discuss different types of antennas, answer general DTV questions, and provide on-site assistance for those who would like to sign up for the TV Converter Box Coupon Program. I launched this Grown People Talking blog in 2008 to keep my skills sharp like Ginsu. Can Bank Robbers Get Any Dumber?